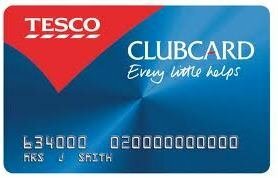 Is Tesco now imposing a quarterly Clubcard cap? Are you now capped at 30,000 Clubcard points per quarter? Tucked away in the terms and conditions of the Tesco Clubcard scheme is a clause saying that the maximum number of points you can earn in a quarter is 30,000. Whilst that rule is there, no-one took it seriously. Tesco did not seem to impose it. It looked like it was there to give Tesco an excuse to strip points from people it felt was abusing the scheme without needing an excuse, even though they never did. Recent reports online suggest that Tesco may be changing its tune. Forums such as paidforshop have reports from people who have received exactly 30,000 points. Worryingly, some of these people had only gone above 30,000 points because they had received ‘change’ after cashing in a high value voucher for a small value deal. It is still too early to know if this is permanent or whether it is being widely implemented. I would take care not to exceed 30,000 points if possible, possibly by timing transfers from TopCashback – for example – so they hit at the right time.